Full attendance and punctuality are important to ensure that students gain full benefit from the learning programme offered and classes are not distracted by interruptions. All students should be in their places in the classroom before the bell in the morning and after breaks. There is no break between consecutive lessons and students stay in their room and organise their materials for the next class or if it is a practical lesson delivered in a special room, they proceed immediately to that place. Students are considered absent if they are not in class at the time attendance is taken. Students who are absent will not be admitted to class before submitting to the corridor supervisor or Head Supervisor a written valid excuse (a medical report or a letter signed by their parents or guardians), who will then issue them with an entry permission slip. In cases of repeated lateness of students Grade 5 and above, they must go to the administration who will decide when they can be admitted to class. Any absence not justified is considered unexcused and appropriate action will be taken. Students cannot leave their class or school during school hours including breaks for any reason unless they have permission from the Head Supervisor. Primary school children may not leave the school campus unless they are collected by their guardian. Parents should consult the administration before keeping their children away from the school. Should it be necessary for a child to be absent for any reason, parents are kindly requested to telephone the school and inform the Head Supervisor, Office Manager or the Receptionist. All children starting KG should be toilet trained, but as accidents can easily happen, parents are requested to bring in a spare set of labelled clothing. Parents are asked not to allow their children to bring felt pens or other play items to school. Natural fruit juice should be provided daily along with healthy and nutritious food such as sandwiches, vegetables and fruit. Water is available from a cooler. Please do not send in sweets, chocolates or fizzy drinks. Chewing gum and glass containers are not allowed at school. Please note that the school bag should not be used as a lunch box. Both the school bag and the lunch box should be labelled with the child’s name and be kept clean at all times. On the first day of school, the class teacher will give the academic books to their students. 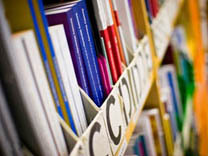 Each child’s books are kept in class and are only sent home on completion of the work. The school also provides notebooks, but students are required to purchase writing and colouring pencils, a pencil sharpener, an eraser, wax crayons and a ruler. Please be advised that each student is responsible for all school-owned books which are damaged or not returned. All students are required to wear the official school uniform which can only be purchased at the school uniform shop. Students who arrive at school in incorrect clothing must report to the Head Supervisor. Official school sportswear and sports shoes are mandatory during PE classes. Every person is given enough support and guidance to learn about his/her rights and duties. There are clear rules for teachers, staff and students that govern every area: the classroom, the playground, the labs, the bus, etc. Everyone is responsible for themselves (administrators, teachers and students) and authority is always assigned with accountability. Good conduct is rewarded and offences are appropriately handled. ISO cares that school ambience is always friendly and pleasant. Plenty of guidance and explanation precede every disciplinary action. Consequences are only applied when they become necessary and may include reprimand, warning, parents’ meeting, letters home, detention, suspension and in extreme cases, expulsion. 1. Full attendance and punctuality. 2. Preparation for each class which consists of having an attitude to learn and the appropriate materials. 3. Proper attention to wearing the school uniform and personal cleanliness. 4. Respectful behaviour towards others. 5. Obeying all school rules, including safety rules. Students who violate the rights of others or school rules are subject to disciplinary measures designed to correct the misconduct and to promote adherence by all to their responsibilities of citizenship of the school community.